Here is the text for the Jacket3. I am sending it to your house, as I am utterly unable to get your office by telephone-- you seem almost as telephoneless as I am! - and I am sure you will be at home this evening. Perhaps you will have more time to regarder it there than you would at your desk. Miss Lewis4 says that it's very difficult to write an ad5 for a story6 when the author insists that the theme of the story must not be whispered in the ad! Please ask Mr. Spier7 to have a proof made of this and send it to me, as she may be able to better the text in the proof. And if you yourself have any suggestions8 to make, please let me have the benefit of them. All the galley proofs9 of the novel are now in my hands. About when would you like to have them done? I look forward to hearing Miss Hess10 on Monday11. 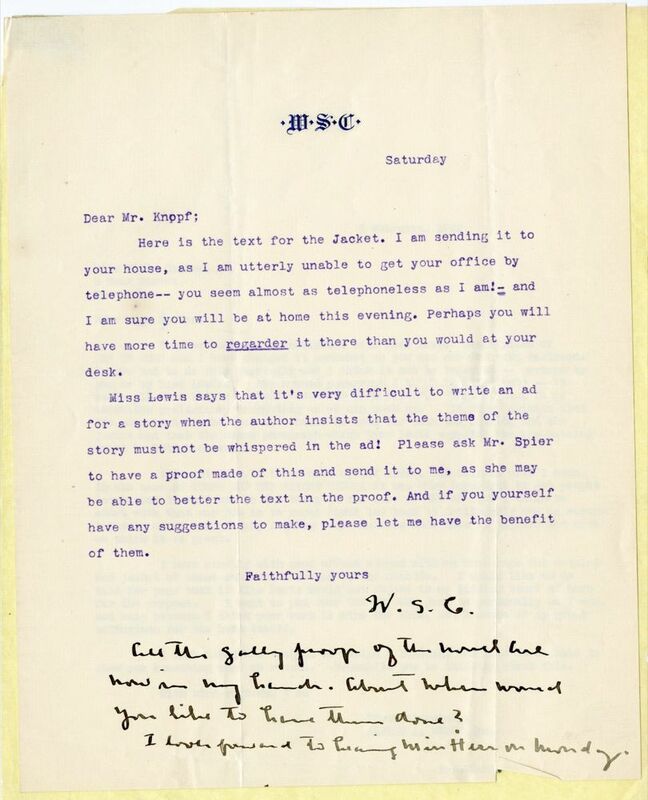 4 February 1922, was the Saturday before 6 February 1922, when Alfred Knopf responded to this letter. The dust jacket of the first trade issue of One of Ours (1922). 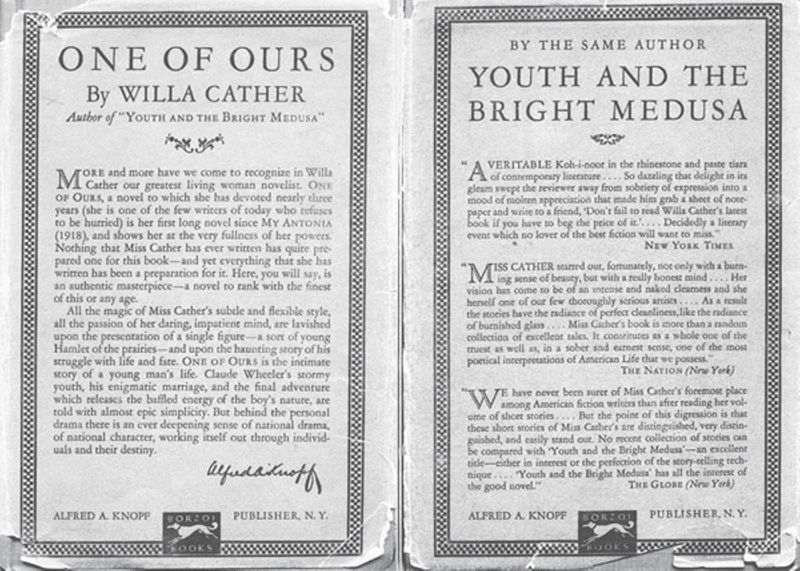 Cather is attributing the enclosed proposed jacket text to Edith Lewis. As published, the jacket makes no reference to the fact that the protagonist fights and dies in France in World War I. Instead, the novel is described as "the intimate story of a young man's life, Claude Wheeler's stormy youth, his enigmatic marriage, and the final adventure which releases the baffled energy of the boy's nature." On 6 February 1922 Knopf asked permission to "lift" from Lewis's text. Myra Hess gave a piano recital at the Aeolian Hall on 6 February 1922 in New York City. 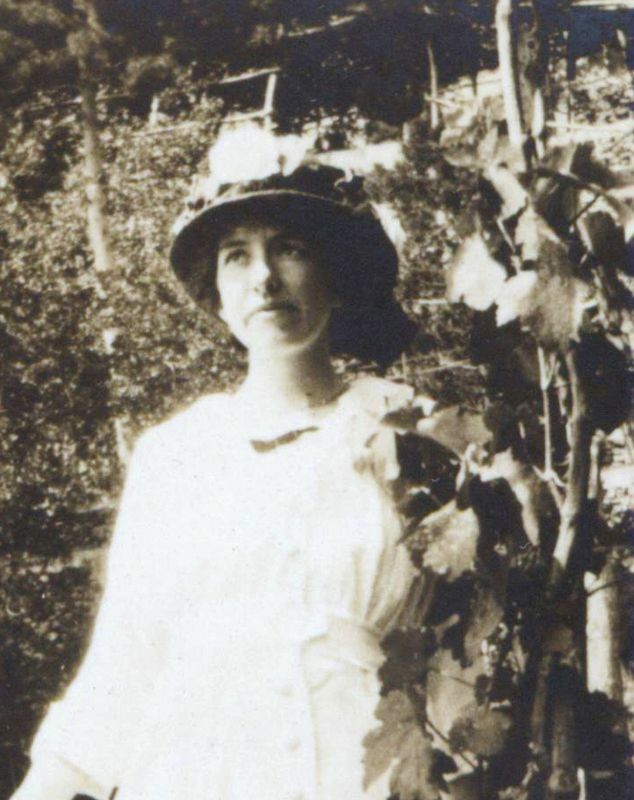 Spier, Franklin (1896-1973). American publishing and advertising executive. Born and raised in New York City, Franklin Spier received a B.A. from Columbia University in 1917. 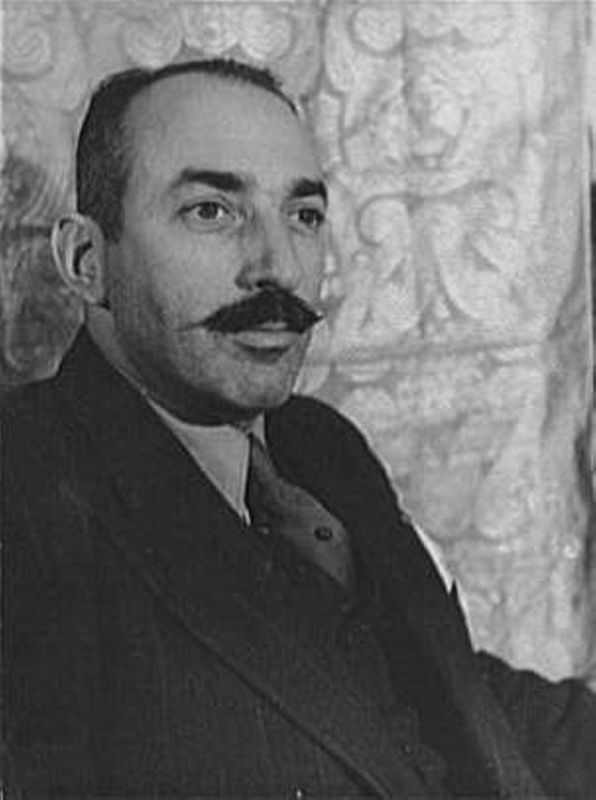 In the 1920s, he worked at Alfred A. Knopf, Inc., coordinating book reviewing and other promotion activities. In the 1930s he founded Franklin Spier, Inc. an advertising agency specializing in book promotion.